Sightings of Unidentified Flying Objects (UFO) have been regularly reported by people around the globe. However, there are certain UFO hotspots in the world where UFO activity has been reported more than elsewhere. Stories of UFO sightings at the Welsh Triangle, or the Broad Haven Triangle, are among the most talked about in the UK. A number of UFO sightings around Dyfed, Wales in 1977 excited many locals. School children reportedly saw a UFO in a field while walking to their school. When they were asked to draw what they saw, the images were strikingly similar. Many people also claimed to have seen 7-foot aliens in silver spacesuit during the night. The area has also reported the sudden halt of TV sets, radios and cars without any reason. Cattle are also believed to have been teleported from one region to another. Locals say that all these activities are linked to extra-terrestrials. UFO sightings have also been reported in Mexico. In 1991, during a solar eclipse, many eyewitnesses said they saw strange aircraft hovering in the sky. In late January this year, a webcam also captured a UFO that resembled a horse hovering near the erupting Colima volcano. A previous report claimed the horse-shaped UFO appeared out of nowhere and disappeared within moments. Myrtle Beach in South Carolina is a UFO hotspot as many people claim to have seen spaceships. In 2011, a local business owner said he had seen strange orbs in the sky. The National UFO Reporting Center (NUFORC) said that just last month, two separate accounts of UFO sightings were reported over Myrtle Beach. “Looking at the full moon over the ocean. Then saw two fire red circular objects, about 300 yards apart in the sky moving very slowly,” said an eyewitness. The M Triangle is located near the Ural Mountains and about 600 miles east of Moscow. 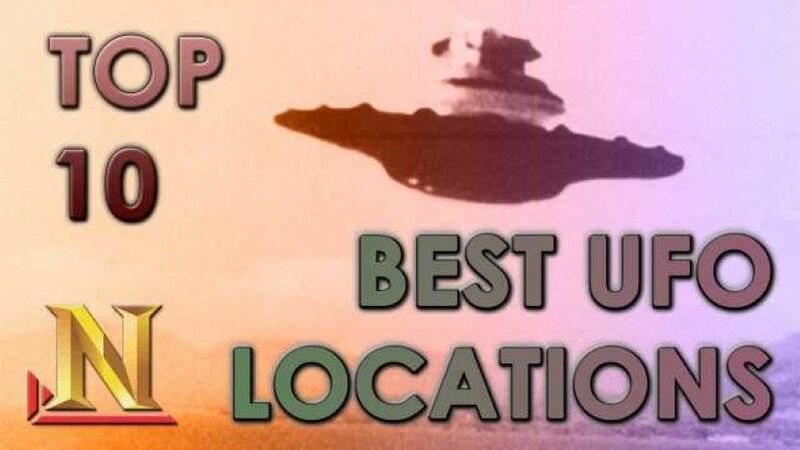 UFO enthusiasts believe that the region is the best hotspot in the country for UFO sightings. For over a century, locals have reported strange lights, UFOs, weird symbols in the sky and even encounters with translucent beings believed to be aliens. The area is also under constant surveillance by the Russian intelligence service. The neolithic structures of Stonehenge are situated in the region, and many locals in the town of Warminster have reported sighting UFOs and hearing strange sounds. In the 1960s, many local residents claimed to have heard strange and unexplainable sounds in the morning. In 1961, for instance, four people around Warminster said they had seen a UFO. Accounts of UFO sightings in the area continued to emerge until the 1970s. In recent years, Bonnybridge in Scotland has become the UFO hotspot of the entire world. The region lies in the so-called Falkirk Triangle, an area stretching from the town of Stirling to the outskirts of Edinburgh. UFO sighting in the region was first believed to have happened in 1992 when a local businessman reported to have seen strange lights in the sky. Initially, the businessman thought the lights were stars, but he later claimed that the lights formed triangular shapes and moved in the sky. Since then, many people in the area supposedly began seeing UFOs. Every year, about 300 UFO sightings are reported in this region. People in Chile have also reported UFO sightings. In 2010, an engineer spotted a UFO during an acrobatic airshow at the El Bosque Air Force Base in Santiago. The UFO was said to be moving at a speed of 4,000 miles per hour. The Chilean government was notified of the UFO, but government agencies do not have an explanation for the flying object. In April 2013, some miners working at the Collahuasi copper mine captured a video of a UFO flying 14,000 feet above sea level in the northern Andean plateau. The silver disc-like object was reported to the government, which later confirmed that it was neither a weather phenomenon nor a man-made object. Sky gazers in Canada currently witness the most number of UFO sightings. In 2011, 986 UFO sightings were reported. The figure more than doubled to 1,981 in 2012. “More than half of all UFO sightings were of simple lights in the sky. Witnesses also reported point sources of light, spheres and boomerangs,” stated the Ufology Research blog. Many UFO sightings continue to emerge from the state. In 2008, dozens of local residents in Stephenville reported a UFO flying low in the sky. The UFO had bright lights and moved at incredible speed. The Texas UFO Sightings website has also put together their UFO encounters of people, ranging from strange lights, orbs, silent UFOs and many more. People have regularly reported UFOs along the Pacific Coast Highway, from San Diego to San Francisco. UFO sightings also date back to World War II when a UFO flew over Los Angeles and was witnessed by thousands of people. The military also fired at the UFO but it went undamaged.